Saturday - 9:00 am to 1:00 pm, from January to March. Saturday - 8:00 am to 1:00 pm, from April to December. 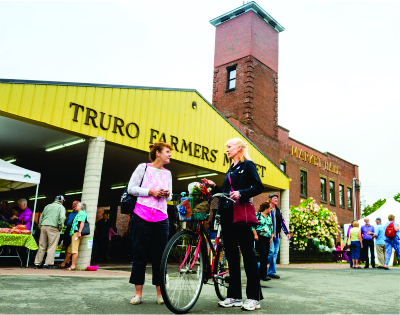 The Truro Farmers' Market is home to over 50 vendors each Saturday. Located in the historic fire hall building, the market is a vibrant gathering place in the heart of the community. It features fresh local produce, baked goods, traditional and specialty crafts, art, delicious foods to eat on site or take home, NS beer, wine and spirits, meats, cheese, eggs, honey, seafood, flowers, plants and more! You can also enjoy live music, children’s activities and one-stop shopping at this energetic, friendly market!